Enjoyment and competition don't always go hand-in-hand. What is fun? That's one of those philosophical questions that’s tough to answer, but you know fun when you see it. The primary goal of League of Legends is to provide a fun experience. Maybe it’s the satisfaction of farming waves of minions and getting that Infinity Edge, which allows you to tear through the enemy team from afar. For some people, it’s the joy they feel in their hearts when they pull off that early game play that allows them to get a lead and snowball over their weeping foes. Still others only get joy when they play Teemo and lead the enemy on a merry chase through the jungle, hearing the pop and hiss of mushrooms and the weeping and wailing of their enemies. 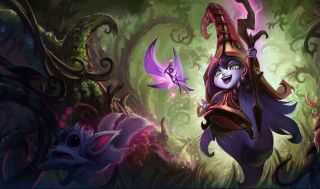 League of Legends is in an interesting, if somewhat perilous position, where they need to balance a competitive game with depth, strategy, and enough meat to keep the pros busy, while providing a fun experience for casual fans. Sounds simple, right? Riot Games make, well, games. Shouldn’t it be easy to unlock the secret that makes them fun? The answer isn’t as simple as you think. Some competitive games, like Starcraft, tend to let the meta sit for comparatively long periods of time. One strategy will reign until another player unlocks the puzzle and comes up with a counter, which in turn will be eventually figured out. Riot, on the other hand, tend to head in and address problems with the meta with a sledgehammer. They aren’t always successful, but they make the attempt. When the lane swap strategy became mandatory in pro play, Riot hit tower stats and made it so that teams would go back to brawling in bot and having top laners go top, like God intended. The sweeping reworks at pre-season and mid-season, along with occasional class updates, are meant to further address this. If one class has fallen behind, Riot will pump them up. It’s a good way to keep people interested, and hopefully it reignites interest in the game and sparks a new meta. It’s not always a slam dunk. For instance, the recent assassin class rework still lags behind dominant control mages. However, it’s always interesting to watch the game evolve. Part of the pursuit of fun means that champions are becoming more complex and involved. Sure, there’s room for your Garens, Annies, and Sonas. They’re simple characters that let you pick them up and play them without requiring you read a thesis of work and chart scaling stats on the wall with red thread and pushpins. As we spiral into the mid-100s, though, it’s clear that a game full of Sejuanis and Singeds would get old very quickly. The Kalistas and Camilles and Jhins, with their multilayered kits and interactions, are meant to be the answer to that. If you’re tired of a straightforward champion, you graduate to trying to master a more complex tier. Now, in some ways, this has been a massive success. Pulling off your first Shurima Shuffle on Azir is fun. Getting a pentakill on Jhin due to careful positioning, sniping, and a blind ult fire is a blast. If you lack the human capacity for shame, using a Camille E to surprise an enemy team from behind and rip through their ranks is also incredibly fun. The problem is that some of these new champions, at their peak, haven’t been fun for the other guy. You may have been saving these clips for your highlight reel, but the players who get wrecked are likely wishing that they could forget them forever. In Jurassic Park, Dr. Ian Malcolm says “Your scientists were so preoccupied with whether or not they could, they didn’t stop to think if they should.” Some of the more recent, fun-laden champions bring this quote to mind. Some of these champions, when they land, seem underwhelming. Then, when players unlock the power of their kit after a good deal of trial and error, they proceed to style on their opponents. A champion like Veigar may be comparatively simple and stripped down, but that means he has less tools to deal with one of the new guard. Eventually, to compensate for all the stuff these champions have on their kit, their numbers get hit again and again and again. While the most competitive players in the game battle over an exclusive pool of champions, low level players often find their own fun in League. For all of the hullabaloo around League as a competitive game, and players checking the right build to min/max their ways to success, there are visionaries who play the game with the eyes of a child. Some of these brave souls lock in AP Rammus. “Don’t worry”, they might say. “I saw a YouTube guide for this.” Sure, their kamikaze armordillo of death goes down immediately, but the ult damage takes out one or two foes with them. Crittlesticks? ADhri? ADnnie? Full crit one shot Aatrox? These iconoclasts ignore the recommended items and forge a bold new path in a hostile world. Other innovators used Dominion to play Hide and Seek or host wacky races. ARAM, the official fun times game mode, actually came about from a player made mod on Summoner’s Rift customs. Riot are racing against the constantly waning attention span of gamers, and they’ve done a fantastic job so far with coming out with a constant flood of new content. There are cracks showing in the surface as they try to beat the clock. While there’s the constant joke that Riot Games is more like Riot Game, League of Legends has evolved into many separate titles during its lifespan. Not all of these incarnations have been fun, and the current trend of champion complexity is proving problematic. If one thing’s for sure, Riot is probably already plotting on how to solve the problem and figure out the true formula for fun.